Garden writer becomes second recipient of Monica van Maris Award. Young women rotated through various stations that dealt with hardscaping, planting and design. On May 23-24, about 300 young women from grade seven to 12 participated in the first ever Women in Trades Experiential Learning Day at Kemptville College in Kemptville, Ont. The hands-on learning experience was hosted by Landscape Ontario, the Upper Canada District School Board (UCDSB) and Catholic District School Board of Eastern Ontario. Funded through the Ontario Youth Apprenticeship Program (OYAP), the goal of the pilot project was to better engage and provide positive experiences for youth exploring various career pathways. 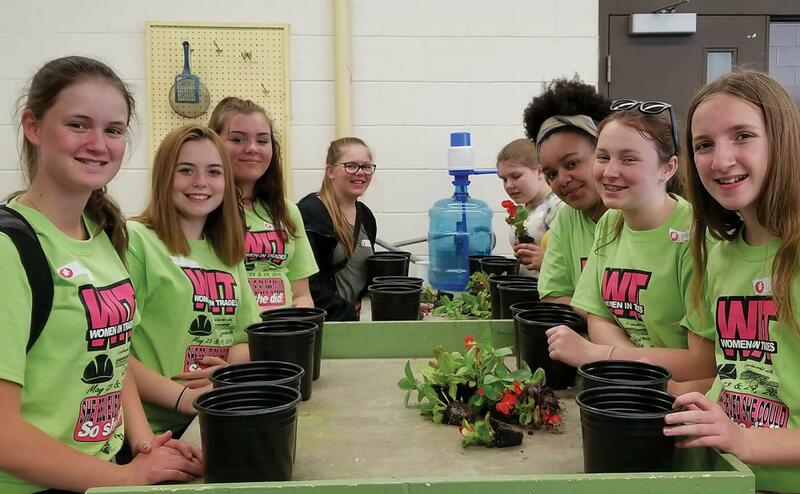 Students gathered at the Kemptville auditorium to learn about various career opportunities in the landscape and horticulture profession and to hear about workshops they would get to participate in throughout the event. Student volunteers from the Algonquin College horticultural industries program led the workshops, providing their younger participants a chance to also ask questions about their post-secondary learning programs. At the hardscape station, students learned how to prepare the subgrade to create a level and smooth surface using a variety of tools. They then learned how to correctly lay interlocking stone to create a paving pattern that could be used in a patio or walkway. Another station taught students how to properly plant and identify common ornamental and edible plants. The students were given plants they then transplanted into larger containers to take back to their school to care for. A plant identification challenge was also set up to provide students with a preliminary planting pallet they could use in their own landscape designs. The final station exposed the students to the world of landscape design. Here, students learned about site analysis, how to apply design principles, and the math required to produce scale drawings. Students worked individually or in pairs to design landscapes that met the needs of one of five mock clients of their choosing. For more information on pursuing education or a career in the landscape and horticulture profession, please visit GreenCareersCanada.ca. Photo courtesy Upper Canada District School Board.